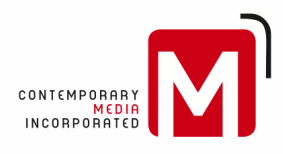 CMI Digital - Contemporary Media, Inc.
We manage multiple successful consumer-facing websites and we understand B2B and B2C website best practices, search engine optimization, content management, and under-the-hood construction. We know how to grow and maintain a digital audience. Let us help you reach your audience digitally, effectively. Visit our CMI Digital Services website to find out more. © 2019 Contemporary Media, Inc.